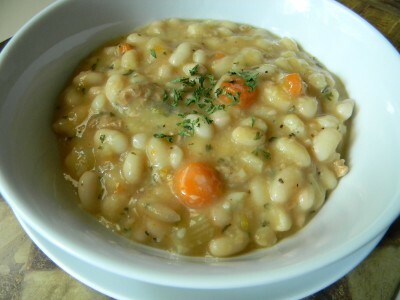 Great Northern Bean Soup with Homemade Italian Chicken Sausage…..
Great northern beans are a lovely, mild white bean. Soak them over night to make for quicker cooking the next day. For an extra creamy textured soup, puree a couple of cups after the beans have fully cooked or use an immersion blender for a few seconds. Use a small amount of chicken sausage (recipe below) as the flavor goes a long way. 1) The night before cooking, sort through the beans to pick out any debris. Place in a large cooking pot and cover with 2″ of water. Allow to soak over night. 2) The next day, drain and rinse the beans. 3) Into the large pot, add the olive oil and warm over medium-high heat. Add the Italian sausage to the hot pan and cook through. Add the onion and celery. Cook for about 7 minutes. Add the garlic, cook another minute. 4) Add the carrots, parsley, thyme, salt, and pepper. Add the beans to the pot and fill the pot with water to cover the beans 1″. Cook over medium heat for 1-1 1/2 hours. Stir often to prevent sticking. Add additional water if the water cooks below the beans. Once the beans are done, taste. Add additional seasoning if necessary. Remove a couple of cups of hot soup and place in a blender or food processor. Blend until smooth and add back to soup. Makes about 8 one cup servings. 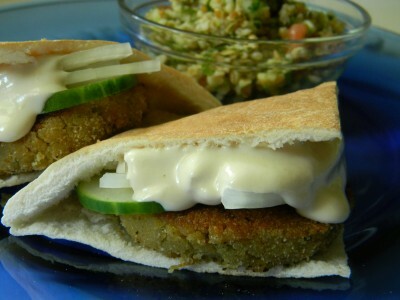 Baked Falafel Sliders with Yogurt Tahini Sauce….. I now completely understand why these luscious cakes are fried. Most often, I’ve had them fried until very dark brown. I can only asssume that after working with my falafel mixture, it is needed to keep its shape. That being said, I had to take an extra step in my preparation. I found that when I only baked them, as I would most of my “oven fried” recipes, they were very soft and would not keep their shape very well. I baked, allowed them to cool, then I pan fried them in a little olive oil. This had a more favorable result. 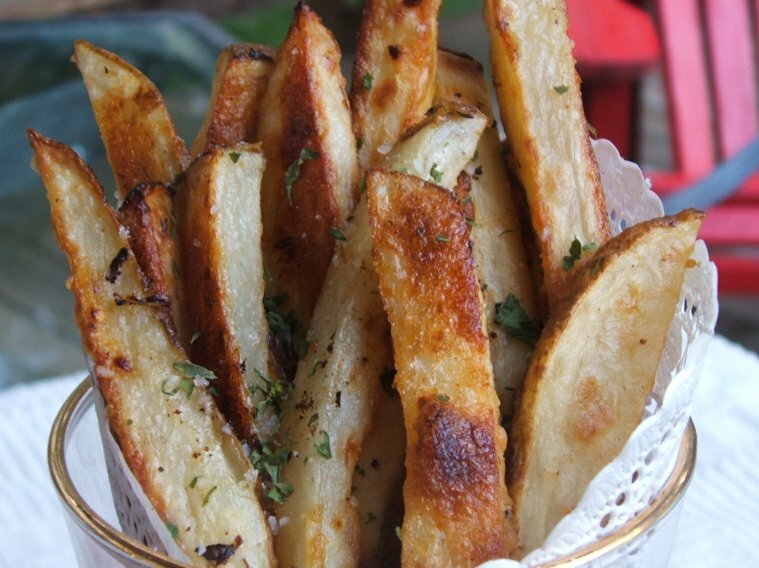 Lightly crispy on the outside and tender and flavorful on the inside. I loved them! I used my food processor to blend the canned chick peas. I’ve read recipes where you’re instructed to mash them with a spoon, seems difficult to me. 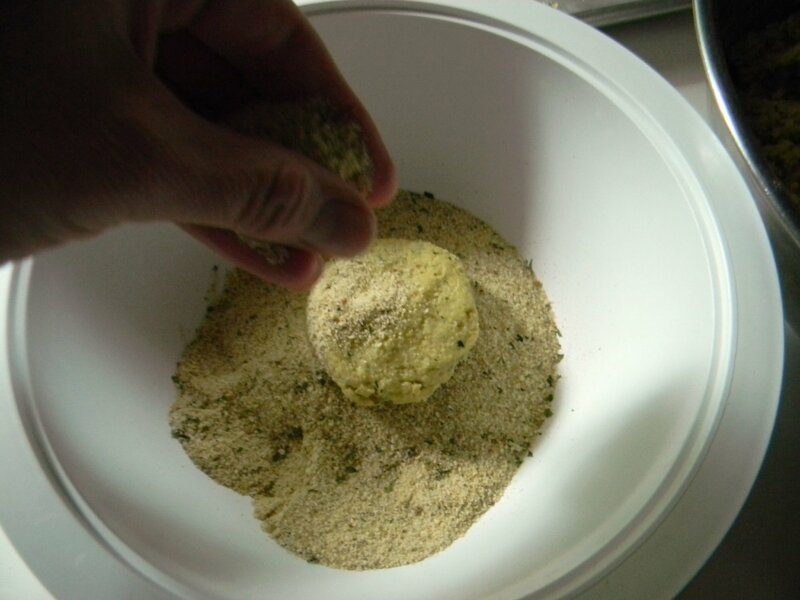 After you’ve processed the chick peas, add the rest of the falafel ingredients. Process until well blended. Refrigerate for at least an hour. Non stick foil line a cookie sheet. Pour about a tablespoon of olive oil over the sheet and spread with your hand to coat the whole sheet. Preheat the oven to 375′. 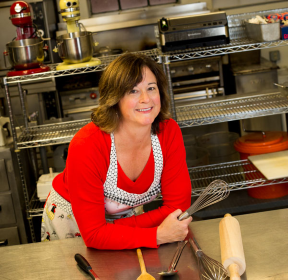 For uniform cakes, I use a large ice cream or a cookie scoop. 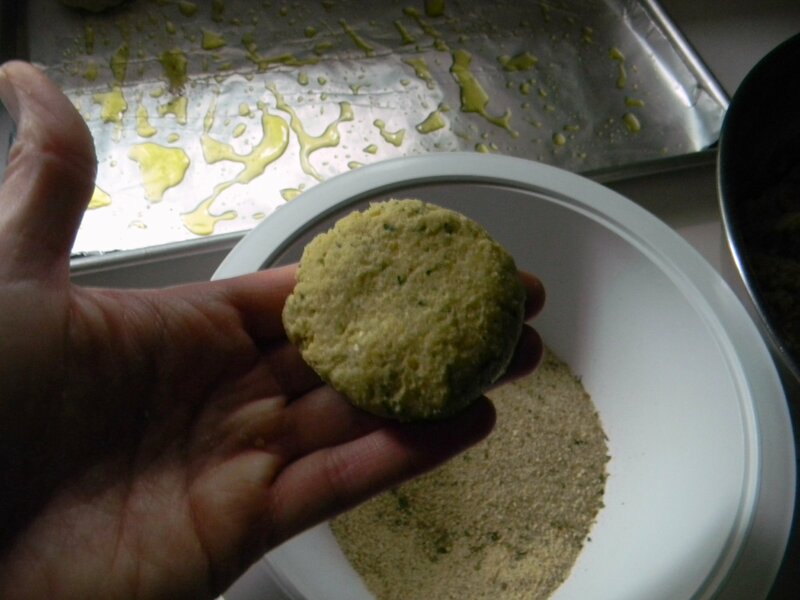 Scoop into your hand and shape into a small patty. Carefully dredge in bread crumbs. Place on prepared cookie sheet. Drizzle the tops with a small amount of olive oil. (you can see that I made a huge recipe here, this recipe only makes 8) Bake for 30 minutes. Allow the cakes to cool for easier handeling. Heat a skillet over medium heat and add a couple of tablespoons of olive oil. Once the oil is very hot, add the cakes, be careful not to crowd, and brown on both sides. (3-4 minutes per side) Serve inside a quartered pita bread with fresh cucumber, thinly sliced sweet onion, and tahini sauce. Serve with a yummy tabbouleh salad. Healthy and soooooo delicious! 1/2 cup unseasoned bread crumbs. 1) Whisk all yogurt tahini sauce ingredients together until well blended. Refrigerate until you’re ready to serve. 2) Place the chick peas into the food processor and process until smooth. Add the rest of the ingredients and process until well blended. Refrigerate for at least an hour. 3) Preheat oven to 375′. 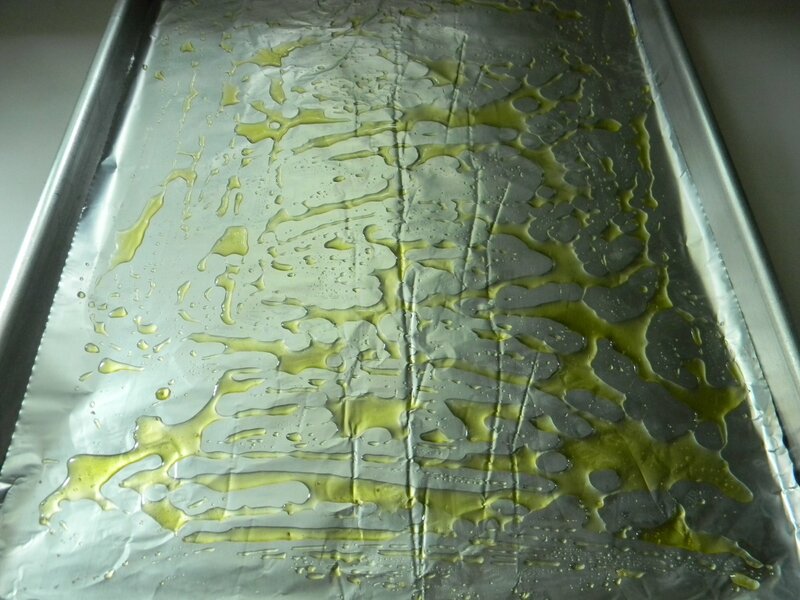 Non stick foil line a cookie sheet and add a couple of tablespoons of olive oil, spread over sheet to coat. 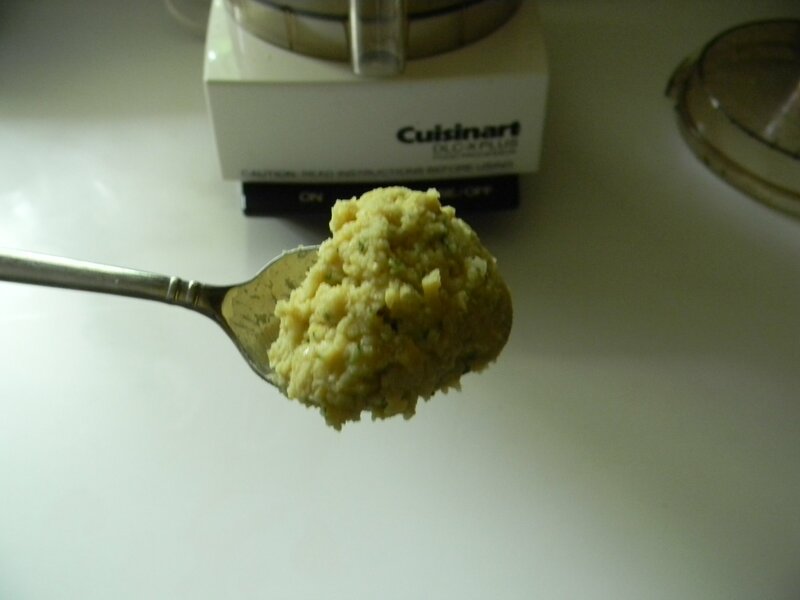 4) Scoop out the dough using a 2 tablespoon cookie scoop. 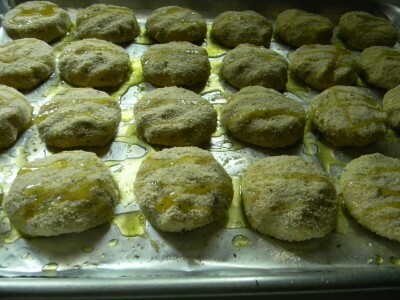 Carefully shape into a small patty and coat with bread crumbs. Place on the cookie sheet. Drizzle with a small amount of olive oil. 5) Bake for 30 minutes. Remove from oven and allow to cool for about 20 minutes. 6) Heat skillet over medium heat, add olive oil to coat the bottom of the pan, about 2 tablespoons. 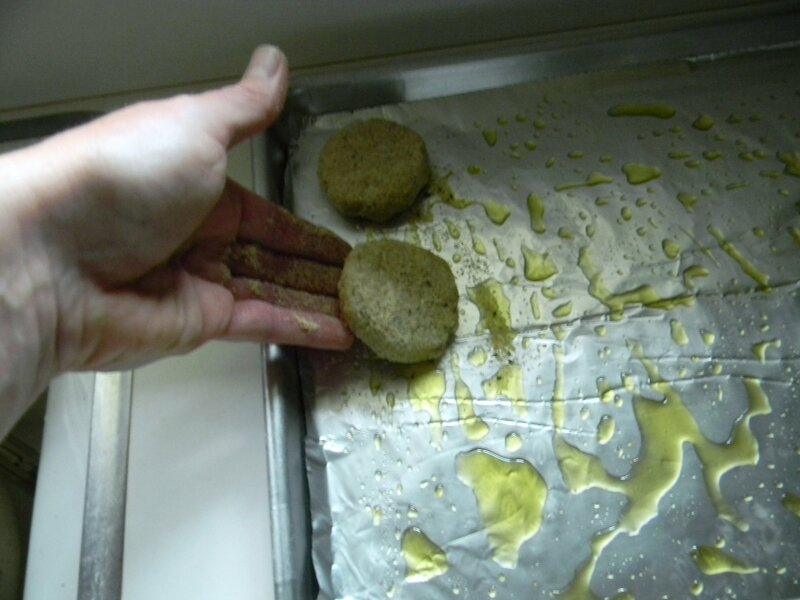 When very hot, fry each falafel until nicely browned. Allow to drain on a paper towel lined plate. Serve with pita bread, tahini sauce, fresh sliced sweet onion, and fresh cucumber. Makes 8 falafel. Serves 4. *for an interesting appetizer, use a small cookie scoop and make them bite size. Serve with the yogurt tahini sauce for dipping. One word…delicious. I actually made this recipe with dried red beans, however, cooking time was about five hours! As previously mentioned, sometimes the beans have been on the shelf awhile and require extra cooking time. I made a very time saving modification and used canned red beans, equally delicious. When using canned beans, it is best to drain and rinse as there is a HUGE amount of sodium in the liquid. Most red beans and rice recipes add the rice right to the beans. I think it best to serve the beans over rice. I find that when the rice is added to the beans the rice absorbs all of the flavorful liquid, leftovers dry out. Make a double batch and freeze for later. Remember to label and date. 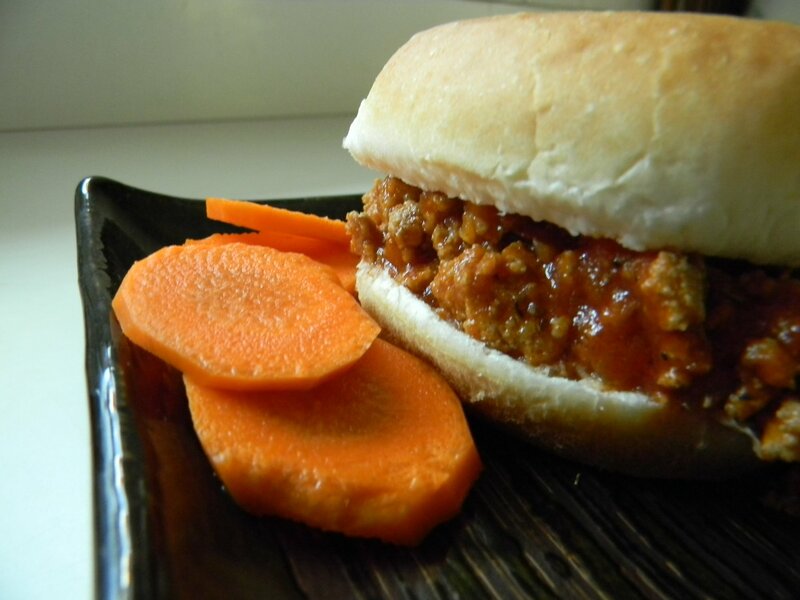 Make this with our without the sausage. There is quite a bit of ingredient used for seasoning. One of which is not on my pantry list, but will be going forward. It’s Liquid Smoke and I love it. This adds amazing smokey flavor to any dish. The beans are very hearty so you would not miss the sausage. You will need a medium diced onion, and a small red, yellow, and green pepper, all diced. We’ve got a nice healthy start, don’t we? Heat a large heavy pot over medium heat and add 2 tablespoons of olive oil. Add the veggies to the pot. You’ll need a serrano chili. They’re small and quite hot, but we’re only adding one to the pot. Unless you remove the seeds and membrane, it’ll blow your head off! I use gloves when handling hot peppers. Carefully slice the pepper in half. 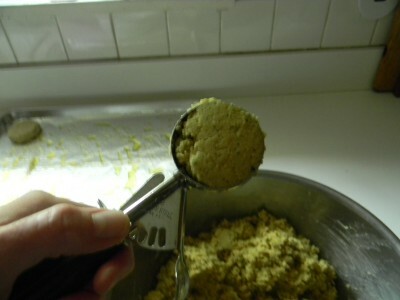 Using a spoon or a small knife, carefully remove the seeds and membrane. Finely dice the peppers and add to the pot. Once the pepper and onions are soft, add three large cloves of minced garlic, cook about one minute. Add 3 cups of stock. If you have some homemade stock, go ahead and use it. If not, you can also use my favorite back up, Better Than Bouillon. Use 1 teaspoon per one cup of water. Add two cans of drained and rinsed red beans and a can of vegetarian refried beans. The refried beans will thicken the liquid giving it nice body. Now for the seasonings….you’ll need sweet or smoked paprika, bay leaves, balsamic vinegar, liquid smoke, low sodium soy sauce, molasses, tomato paste, and a small amount of sherry at the very end. These all go in the pot (except for the sherry) and allow to simmer, uncovered, for 30 minutes. Stir often to prevent sticking. Add additional water if your beans are too thick. Add the sliced sausage and the sherry, simmer another 10-15 additional minutes. I did not add any additional salt, as there is plenty of sodium in the soy sauce and bouillon. If you use your own unseasoned chicken stock, you may have to add a small amount more salt. Season to taste. 1) Heat a large soup pot over medium heat and add olive oil. Once oil is hot, add the red, yellow, and green peppers, onions, and celery. Cook for about 10 minutes or until vegetables are soft. Add the garlic and the Serrano chili, cook another minute. 2) Add the chicken stock, the red beans, and refried beans to the pot. Stir until the refried beans have dissolved in the liquid. 3) Add the liquid smoke through the molasses. Simmer over medium heat for 30 minutes, stir often. 4) Add the sausage and sherry, simmer another 10 minutes. Remove bay leaves. Makes about eight servings. Serve over ½ cup of rice. *serve with hot sauce if you wish. *for vegetarian, simply omit the sausage and use vegetable stock.